Future Collegians World Tour (FCWT) and Junior Golf Hub (JGH) are pleased to announce a new partnership aimed towards helping their members advance to the next level and play golf in college. The new partnership allows FCWT members to access Junior Golf Hub’s Premium features for 30 days free and gain complete access to The Hub’s Essential Guide to college golf recruiting, a searchable college golf database, and the ability to ‘Follow’ college golf programs and see who’s ‘Following’ you. In addition, JGH members signing up for FCWT for the first time will receive 10% off the cost of FCWT membership. Future Collegians World Tour (https://www.fcwtjuniorgolftour.com) is a 501(c)3 non-profit organization that conducts acclaimed, nationally-ranked golf tournaments. Junior golfers ages 9-19 are eligible to play. FCWT alumni include Rickie Fowler, Sergio Garcia and Morgan Pressel and many more successful PGA and LPGA players. Junior Golf Hub (www.juniorgolfhub.com) is the premier online community for junior golfers on the rise, parents and college coaches seeking top talent. JGH provides robust technology tools and education that help players advance to college golf. The Hub allows Junior Golfers to build a compelling profile and then ‘Find and Follow’ college golf programs they are interested in. College coaches search our database of talent and then follow golfers they are interested in recruiting. In addition, Premium members can access The Hub’s Essential Guide to college golf recruiting which contains clear, step-by-step instructions to playing at the next level. 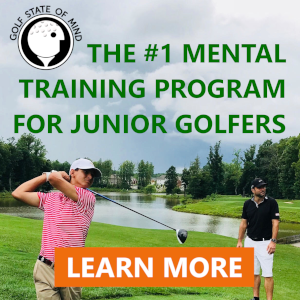 Sign-up for free at www.juniorgolfhub.com and begin your journey today!